We are so excited to close the season with tons of snow (18+ inches), 1,700 acres with machine groomed sand dune trails, and all around breathtakingly beautiful surroundings. This is the first time we are making a Hugh Jass weekend of it! Join us for the race on Saturday (following our same format) and a group ride on Sunday! 9:00am- Registration and Rental Pickup Opens; Pre-Ride your heart out! 10:00am- 10 mile group ride! Join us for the fourth annual Hugh Jass Fat Bike "Race" Series as we explore the parks and trails of Wisconsin & Illinois on the most fun form of transportation around- a fat bike. All ages and abilities of riders are welcome to join our clan of fine folk who enjoy the outdoors and having fun no matter what the weather brings. Every Hugh Jass "Race" brings with it a barrel of fun as we enjoy adventurous courses, tasty beverages, and after parties that make you wish everyday was a Hugh Jass day. Meet new people, have fun outside, and see why more an more people are buying fat bikes. Similar to year's past, we will have citizen and pro "racer" categories for men, women and juniors that will vary in laps and lengths depending on course difficulty and weather conditions. Season 4 kicks off style October through February. 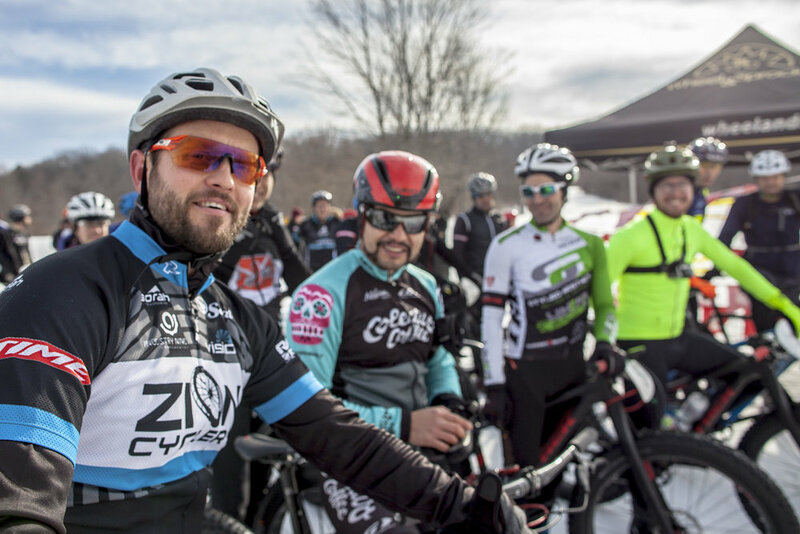 Every Hugh Jass Race includes fat bike rentals, tech service by Wheel & Sprocket, post race beverages, parking lot contests, guaranteed fun, and live dj. Series participants win points, but the real point is to have a lot of fun outside this winter. Hugh Jass is a winter series that gets you outside and makes racing fun again. Each "race" includes Hugh Jass fun, fat bike demos, tech service by Wheel & Sprocket, tasty beer, games and contests, toasty fires, and our favorite live DJ!